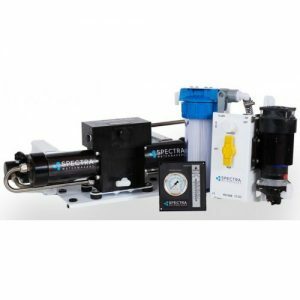 The Spectra Ventura series is engineered for the smaller vessel to be energy efficient, light-weight, and self-regulating. 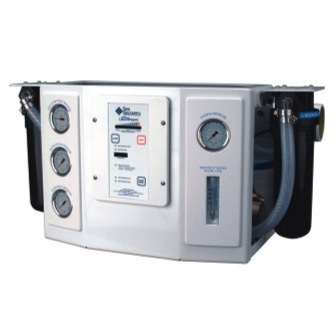 These watermaker are composed of compact modules, making for easy installation in confined spaces. 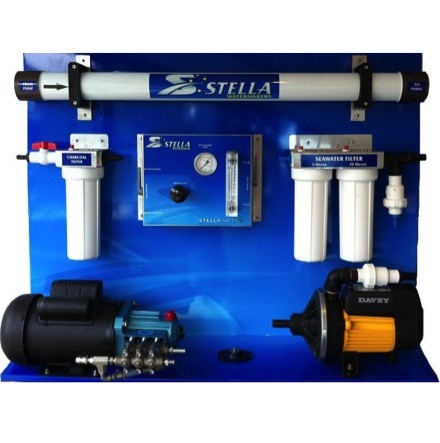 The manual system has analog controls with an instrument panel containing a feed water pressure gauge and a product flow meter. The automated system has the digital MPC5000 control panel. 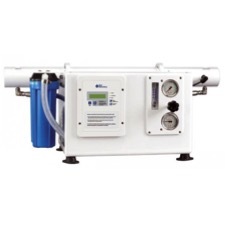 The MPC5000 operates with the press of a single button, and displays pre filter condition, feed water pressure, water tank status(with optional tank switch), product water quality, flow rate and total system hours. The auto store button will automatically flush the system every 5 days.